Tooth loss can be embarrassing and traumatic for many people. It can change the way your smile appears, affect your speech, reduce the foods you can enjoy and even make you look years older. Dentures are a restorative dental treatment that can give you back your complete smile and improve your quality of life. 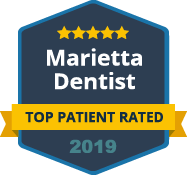 At Dental Care Center at Kennestone, we offer modern, comfortable dentures for our patients who have lost some or all their teeth, restoring their beautiful smiles. When you have lost more teeth than you have left, complete dentures may be the best option for many people. Dentures are an affordable solution that can give you a beautiful smile that looks natural and give you back function for chewing and speech. The dentures we design at Dental Care Center at Kennestone are made to feel comfortable and look natural for our patients. Those new to dentures will have an adjustment period as they get accustomed to their new teeth. However, most people find that within several weeks they are confident with their new dentures and are enjoying life to the fullest. For many people, tooth loss happens in stages. You may lose one tooth, then another. Partial dentures can replace these few missing teeth to give you a complete smile and improved oral health. Some people prefer dental implants or dental bridges for replacing missing teeth. Partial dentures are an affordable option for those who are on a tight budget or have significant bone loss that eliminates implants as an option. You deserve a complete smile at any age. 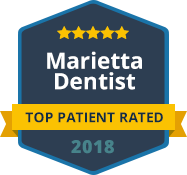 Contact our office in Marietta to learn about the options we have for replacing missing teeth, including complete or partial dentures. Ask about our payment and financing options that can help you get your new smile while staying within your budget.